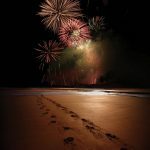 July 4th is upon us and summer is in full swing. What better way to soak up the summer sun than by dining outdoors. 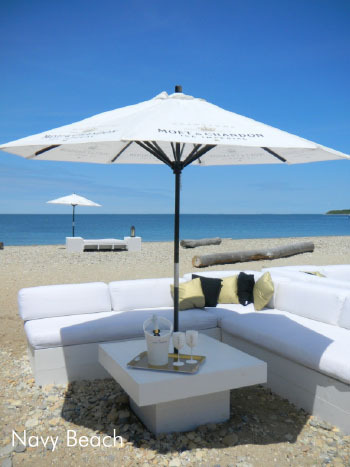 Don’t miss out on these classic Hamptons spots with the best outdoor eating, drinking, and hobnobbing. 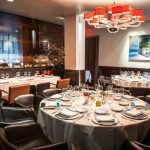 Authentic Texas BBQ rustic roadhouse style can be found at Townline BBQ in Sagaponack, with views overlooking picturesque Hamptons farmland. 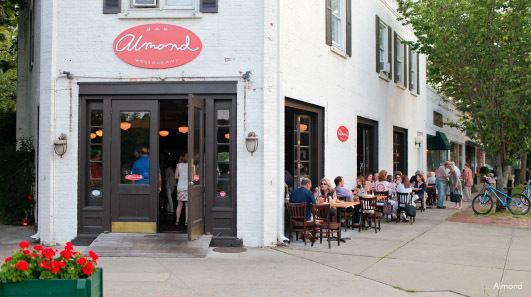 And nearby, on Main Street in Bridgehampton, Almond’s sidewalk dining serves up contemporary French bistro cuisine with a side of people-watching. Looking for the best place to catch a sunset? Look no further than Beacon in Sag Harbor, where a wraparound porch offers the ultimate sunset view of the harbor. 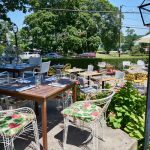 On the edge of the village in East Hampton, Fresno’s landscaped patio, complete with a fountain, provides outdoor dining under a pergola with New American cuisine that emphasizes simple yet sophisticated preparations of local fare. Or try newcomer Winston’s Bar & Grill, where guests can enjoy a steak and seafood menu infused with Caribbean flavors for a fresh taste of the season on their outdoor patio. In the heart of the village, Rowdy Hall, a lively neighborhood eatery, is serving up English pub and French bistro cuisine—we recommend the Rowdy burger. 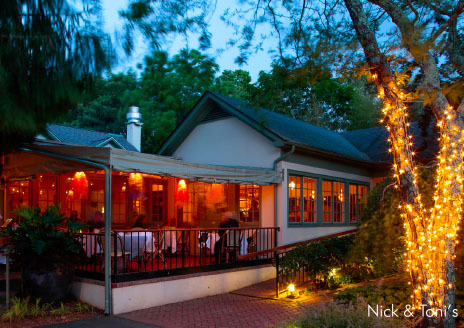 For fancier fare, the posh Nick & Toni’s is one of the Hamptons’ top tables. 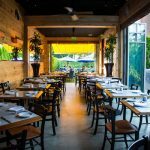 Their eclectic Mediterranean cuisine, with Tuscan and Provencal accents, puts the emphasis on local bounty from the restaurant’s garden, and their patio dining may be your best chance to spot a celebrity. 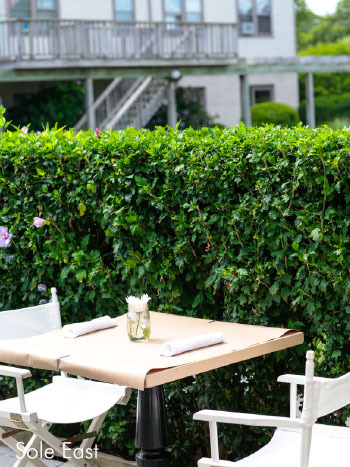 Continue east and you’ll find Bostwick’s Chowder House—arguably one of the best lobster rolls in the Hamptons; but don’t take our word for it—hit up their outdoor patio and see for yourself. The competition for the best lobster roll heats up even further east where the classic seaside shack known as The Clam Bar is serving up the biggest contender. This outdoor-only dining spot is the pinnacle of fun in the sun, and shorts and sunglasses are required dress. 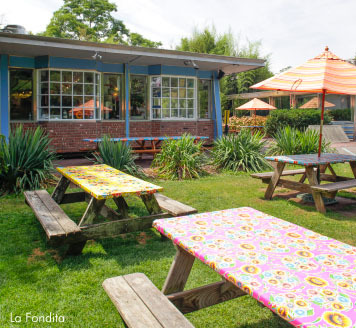 If a livelier atmosphere is what you crave, then La Fondita in Amagansett is the place to be. This casual Mexican eatery specializes in traditional Mexican street food, and picnic tables dot the outdoor garden. 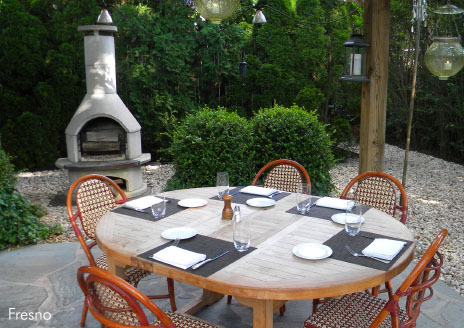 If you are heading to “The End” (aka Montauk), head off-the-beaten path to discover The Backyard at Sole East, a hidden oasis among beautiful gardens that offers the perfect spot for dining poolside. 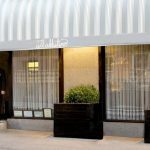 Their fresh, local, and sustainable seasonal Mediterranean cuisine is the perfect complement to this relaxed environment. Wanna watch the waves crash? 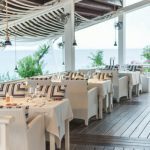 The fishing town is also home to Navy Beach, a beachfront restaurant where you can put your feet in the sand and dig into coastal cuisine influenced by local seafood and produce. 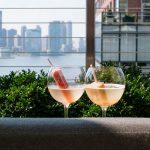 With the perfect blend of scenery, socializing, and sun—not to mention seasonal cuisine—the best way to take advantage of summer in the Hamptons is to spend it outdoors.